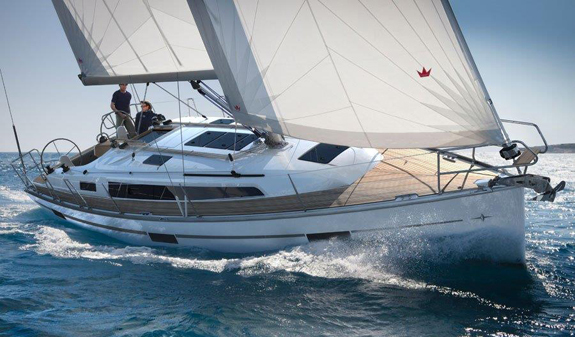 Experience the excitement of sailing with every manoeuvre, feel your adrenaline surge as you ply the waves and enjoy unique moments on board a yacht. This two-hour trip is the perfect way to learn the rudiments of sailing while you discover the history of the city. 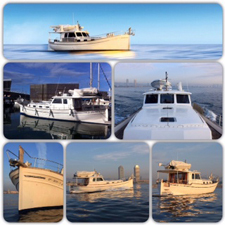 We invite you to discover Barcelona from the sea. Enjoy the experience of sailing and take part in the manoeuvres while you find out about the history of the city. 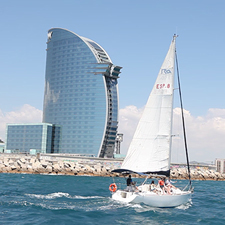 A relaxing sail along the Barcelona coastline so you can find out how the passing centuries have shaped the city's Mediterranean character and learn the rudiments of sailing. 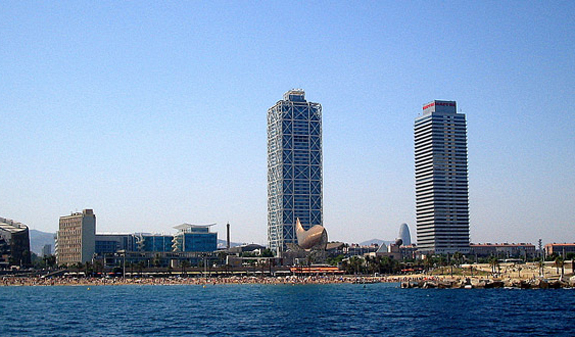 During the trip you'll go along the coastline and enjoy unique views of Barcelona, a city of legends and traditions and a spirit of togetherness. You'll find out, for instance, that the sea once came as far as Santa Maria del Mar and the skipper will tell you how the coastline has changed since the city was founded until the present day. You'll have fun learning about the different sailing manoeuvres and, time permitting, you'll be able to raise a toast with a glass of cava as chill-out sounds play in the background, and take a dip in the tranquil waters of the Mediterranean, right in front of the Hotel Vela. You'll never forget the great times you've had on this unique activity. Two-hour guided boat trip with a professional skipper and guide. Free water, soft drink, glass of cava and snacks. 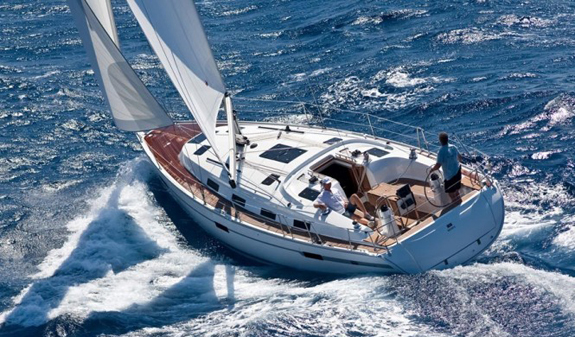 Private boat hire with a professional skipper and guide. Free water, soft drink, glass of cava and snacks. Guided boat trip: April to October, at 3pm, 5pm and 7pm. Private boat hire: daily, at 10am, 12noon and 2pm. Closed: 25th and 26th December. Languages: English, Catalan, Spanish and French. Meeting point: Moll de Mestral 2841. Port Olímpic. Metro: L4, Ciutadella-Vila Olímpica stop. Bus: 36, 45, 59, 71, 92, V21 and H16. Tram: T4, Ciutadella-Vila Olímpica stop. The activity will take place according to logistical requirements and demand. 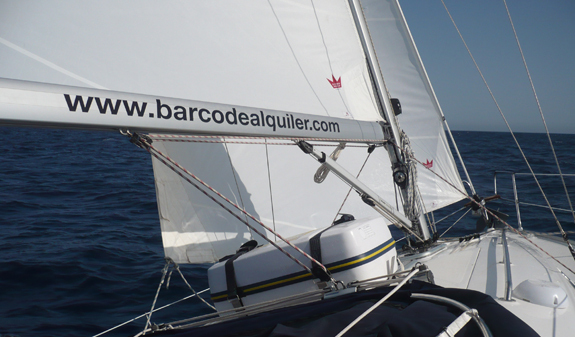 This means that one or more sailing boats will be used, of the same or greater length than the one shown in the photo in the product description. We recommend you wear comfortable clothing and bring a light jacket or waterproof or swimwear depending on the season, and rubber-soled footwear. Groups of 10 people per trip maximum. Contact phone numbers: 932 217 574 o 673 862 241.